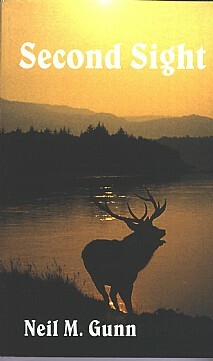 A novel set in a Highland shooting lodge, where the focus is a hunt in a remote deer forest; but this is no ordinary thriller. A shooting lodge party of wealthy English people, a team of Highland stalkers, a legendary stag to be hunted and a background of glen and corrie, shrouded from time to time by impenetrable mist. A marvellous blend of ever-changing landscape - be it light and shadow, swift transitiions from light to half light, mist, rain, tones and flowing lines - contribute to the dramatic essence of the novel. Culture and personality clashes and mystery, which portent much deeper clashes between spiritual and material values, provide a vastly enjoyable read.